I was invited to attend the World Final of the Kids Lit Quiz today. 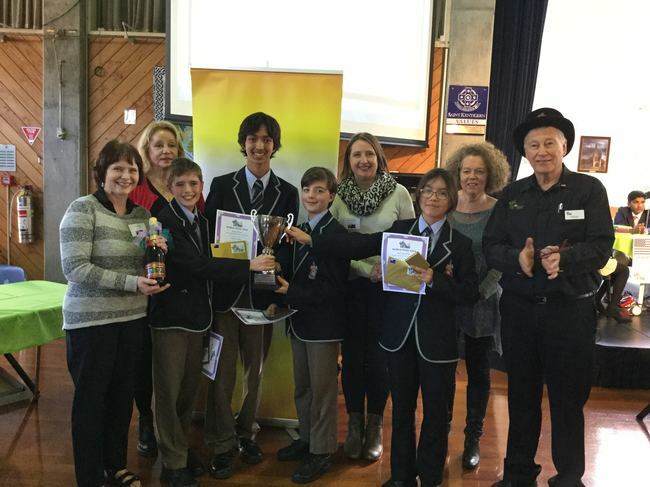 Canberra Grammar (Australia) won the final. In the evening we had a dinner and I sat with one of the Australian families. The dad went to buy us a drink and I began talking with the mum. “What kinds of books do you write?” she asked. “A lot of sports books,” I said. “Oh yeah, what does he do for the Brumbies,” I said, thinking she might say, accounts or media. I had a lovely chuckle over this late last night when I couldn’t sleep. Thanks for sharing.